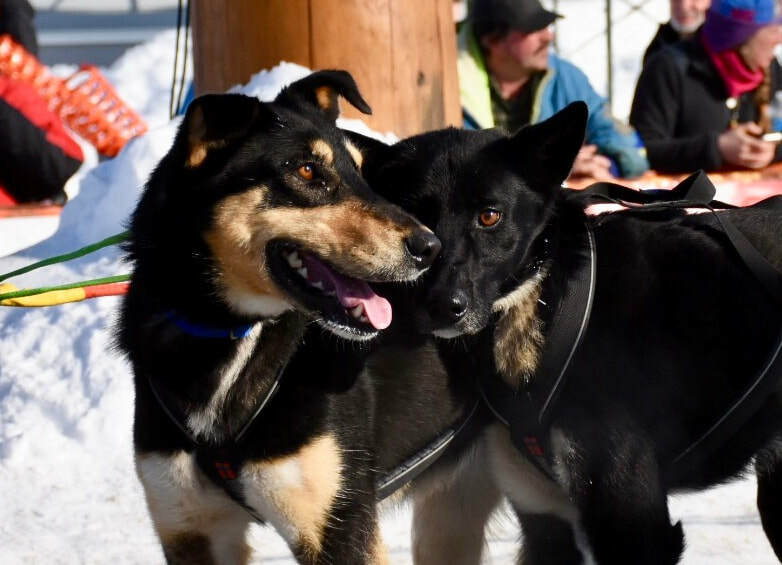 Anna and Kristy Berington, the dynamic identical twin mushing duo from Knik, Alaska, want to welcome you and hope you find their site entertaining and informative. Sled dog racing is their passion, and they are thrilled to have an opportunity to share it with you! 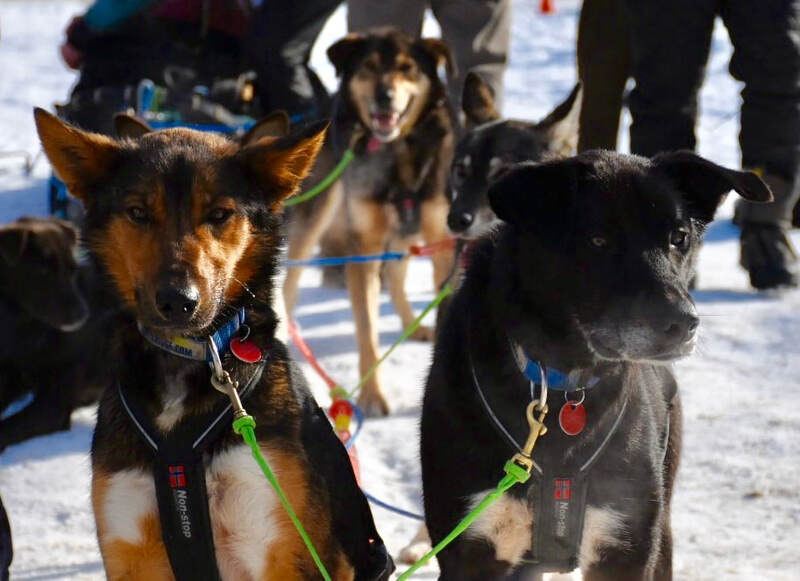 Iditarod 2019 wrapped up not long ago and our off season adventures are ramping up, so check back often to see what the Seeing Double Sled Dog Racing Team is up to. Kristy finishes in 16th place after 10 days 23 hours 4 minutes & 48 seconds!!! 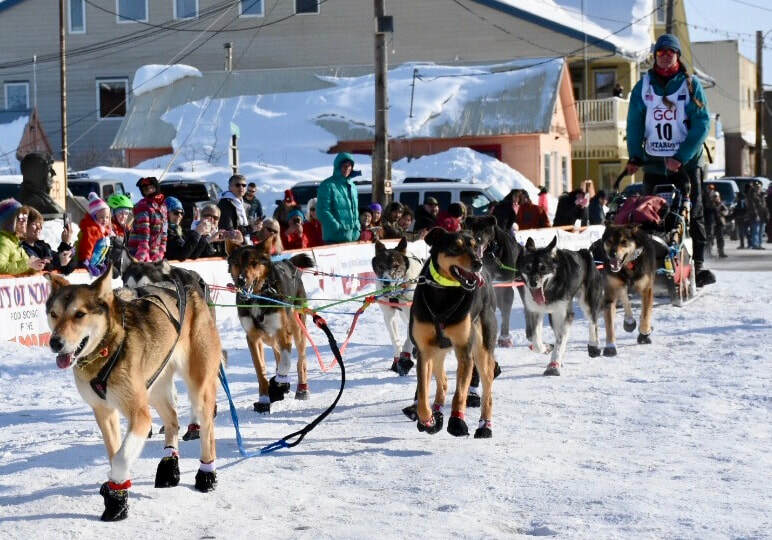 Kristy & Anna finish Iditarod 2019 in the Top Twenty! Anna finishes in 17th place after 10 days 23 hours 5 minutes & 15 seconds!!! And that's a wrap on Iditarod 2019. Before you go, check out our closing blog entry and one last special feature on the best thing about Iditarod... The Dogs. So... where's my snack? And where to next?! From Anna's team at the finish. One of Anna's dogs at the Iditarod finish line, smiling in the early afternoon sun. Get your copy of Seeing Double's Official 2019 Iditarod Flyer! What Else Is New? Lots!! Read about our GoFundMe Campaign. page on our Retired Canine Athletes. Christmas Eve "moto-mushing" training run. The October puppies lament a thoroughly cleaned bowl. To everyone that supports us and cheers us on throughout the racing season. We couldn't do this without our financial sponsors. And the emotional support of SO MANY OTHERS really just blows us away. So thank you. EVERYONE! Quotes, Facts, and Random Miscellany! have a different take on that...!